We, Emco Group India, came into existence in the year 1945, as manufacturers, exporters and traders of brakes, inverters and crane cabinets. We have positioned ourselves in the market as the suppliers of products that are of unsurpassable quality. At Emco, our top priority is to satisfy our clients’ needs. We manufacture all our products using cutting edge technology and innovative skills of our designing professionals. We have maintained mutually beneficial relationships with our clientele over long periods of time. We have been successful owing to the industriousness of our team of experts and sound infrastructural facilities. We make sure that our products go through numerous quality control tests before qualifying for sale. Through several measures, we ensure that our products are in compliance with international standards. We are committed towards our work and aim to take our reputation to a much higher level. Our main aim is to provide a range of high quality products to our clients. We are considered extremely trustworthy by our clients and have gained an edge over the competition. With diligence and confidence, we aim to move forward towards expanding our horizons. 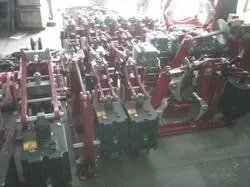 Further, we have a wide distribution network to supply our products to our clients in Indian Subcontinent, East Asia, Middle East and South East Asia. We are working under the guidance of our board of directors, Ishwerlal D. Gandhi as Chairman. Since past few years, he has been working as the chairman of Emco Ltd. and Emco Electricals (IBCD - Lenze Division) as well. He has been promoting various joint ventures with European and American companies. Further, Chirayush I. Gandhi is the Managing Director of our organization having degrees of B.S. and B.B.A. from New York University and M.B.A. from Boston University. He holds an experience of working with Hewlett Packard Medical Products USA for 5 years. Our Executive Director is Anita M. Edekar having a degree of M.S. in computer sciences. With her vast experience in the field of information systems, we have been able to maintain our favorable market position. The main aim of our organization is to implement a continuous quality improvement program in all areas of business development and product manufacturing. For this, we aim to make developments in all the areas including R&D, to flexible manufacturing systems, & integrated information systems in order to attain utmost satisfaction of our clients. Further, our main purpose is to maintaining our successful position for providing high quality products in Indian engineering industry. Moreover, we are known in the sub continental Indian markets for our high quality product range. We are one of the leading organizations engaged in manufacturing, supplying and exporting Rectifiers, Brakes and Clutches. Our products are widely acknowledged for their corrosion resistance, low maintenance, high performance, durability and safe operations. Our production staff manufacture this range using high grade raw material sourced from some of the trusted vendors of the industry. Further, these are manufactured in compliance with the international quality standards. We are backed by a team of efficient personnel, who put all their efforts in meeting the goals of the organization in timely manner. Owing to their dedication and continuous support, we have been able to create a reputed market position in domestic as well as international markets. We have hired all our teammates on the basis of their industry experience, market awareness, and skills. They work with the perfect market understanding, catering to clients' needs, within the stipulated time frame. 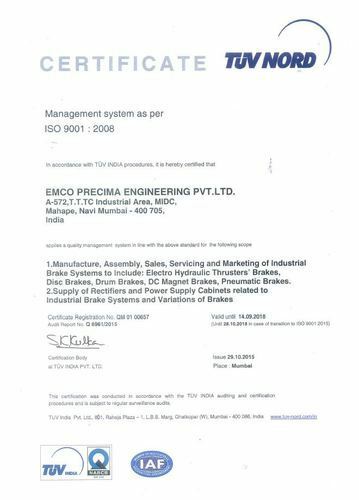 Emco Precima Engineering is ISO 9001-2008 Certified company for the manufacture, sales, marketing, and service for, Hydraulic Brakes, DC Magnet Brakes, Disc Brakes, Emergency brakes for Ports, yards, Ships, Marine, Off Shore, Steel Plants, and related applications. 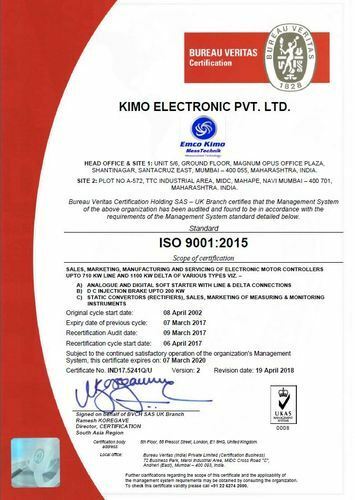 Emco Kimo is ISO9001 Certified for Sales, marketing, service, e-calibration and related for Soft Starters, Motor Controllers, Electronic Brakes, Instruments for measurement, process instruments, for pressure, temperature, velocity, volume, and related. With our client and quality-centric approaches, we have been able to attain maximum stakeholders of our clients. 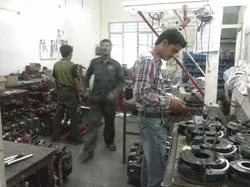 We hold expertise in offering a quality-assured range of Rectifiers, Brakes and Clutches that is manufactured as per the international quality standards. With our wide distribution network, transparent business dealings, customer-friendly approach and quality-proven range, we have been able to stay ahead of our counterparts.